Each week, Citizen cadet Jack Banister and Sporting Chance Magazine editor Gordon Hunter Meredith get together, with guests, to discuss the latest in sports, sports literature and sports media. Produced in collaboration with Sporting Chance Magazine. We love footy BUT JB hates losing! As such, Gordo invites JB to come and lie down on the studio couch as they unpack the five stages of footy grief, after Richmond’s loss to Collingwood in Round 2. – Do serious injuries affect our enjoyment of the game? – How will Liam Picken be remembered? – Did we underestimate St Kilda, and the other 2-0 teams? – Why are the Footy Media “misery merchants” by default? – Has the torpedo lost it’s wow factor? – After another media gaff – this time about a coin toss – is football really as inclusive as it likes to think it is? – Do we need to save the biff? – What’s the big deal about the term “AFLM”? We Love Footy. We Hate Round 1. Jack Banister and Gordon Hunter Meredith sit down to discuss the first week of the AFL season, the AFLW finals, social media trolls, and the merits of sporting redemption stories. Footy is beginning. Footy is ending. Footy is just a moment. Footy is forever. 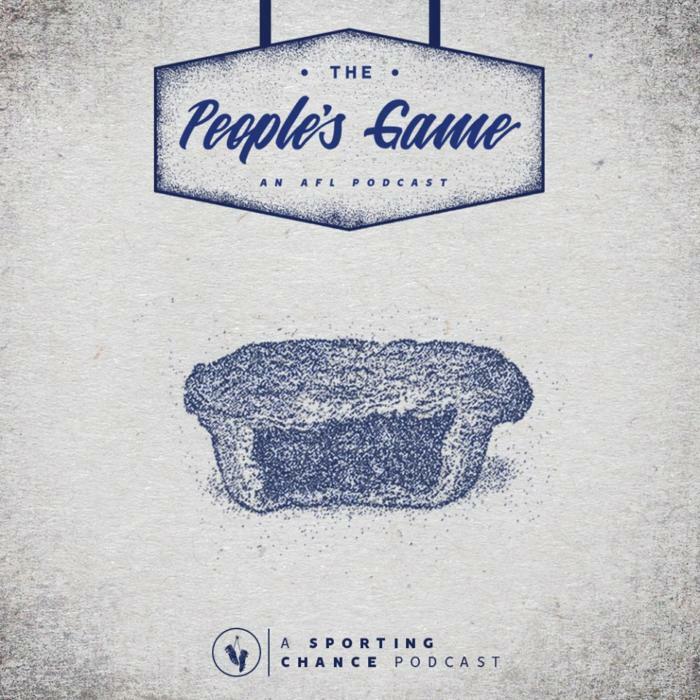 Yes, citizens of The People’s Game, we have FOOTY FEVER and us such, your two favourite footy friends,Gordo & JB, were joined again by regular guest Kasey Symons to discuss all things footy. The fallout from AFLW 3.0 and the effects of the conference system on the competitions long term future. A holistic preview of the AFL season – what do we want to happen and what do we expect to happen? Book Club is a very special chat with JB about his time with the Tiwi Bombers.